After asking on the Eaglechat e-mail list (mainly birders out of Juneau) about Marbled Godwits, I was sent a journal article discussing the Alaskan birds. 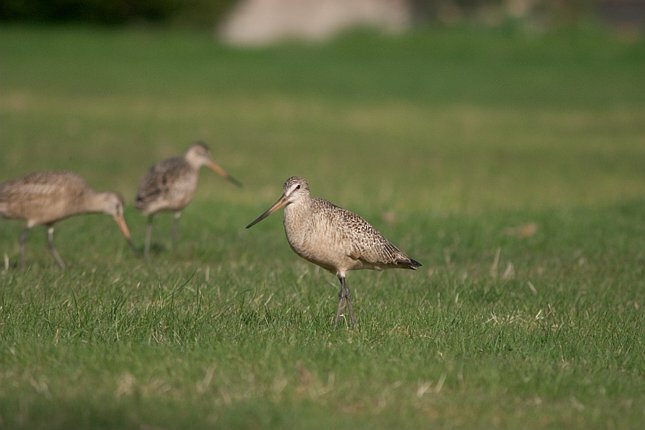 Most Marbled Godwits are seen in the midwest and breed in central Canada. The birds that breed in Alaska have distinctive features that led the author to conclude that they were a separate subspecies.